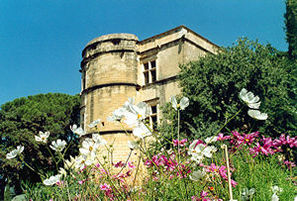 During your stay according to the season you will receive concert/theatre programmes. 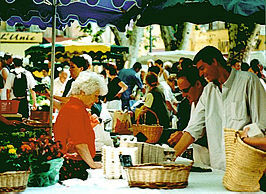 restaurant menus and you will explore the colourful Provençal markets... and smell the sweet herbs : thyme, rosemary, laurel, garlic, basil .... all you need for a "soupe au pistou" ! 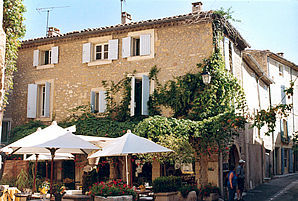 Provence is renowned for its festivals : piano at la Roque dAnthéron (a "Bossendorfer" upright piano is available for your practicing purposes at la maison bleue), theatre in Avignon, opera and concerts in Aix-en-Provence and Orange, recitals and chamber music in the cloisters of the Cistercian abbeys : Sénanque near Gordes and Sylvacane abbey on the banks of the Durance river. water again, that supplies the étang de la Bonde - the moat of the ruined Renaissance Château de la Tour dAygues, which was once host to Catherine de Medicis. 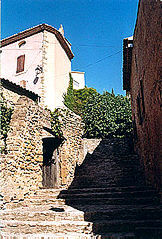 Cadenet the troglodyte, proud of its petit tambour dArcole - drummer boy whose courage led Napoleons troups to a famous victory over the Austrians at Arcole... near Venice. 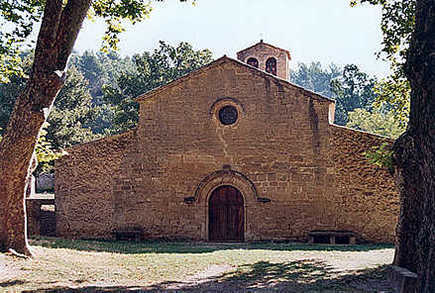 Vaugines, Pays dAigues, southern flank of the Luberon, altitude 375 m.
its habitations suckled by the Fontanilles - rivulets -that issue from its side. 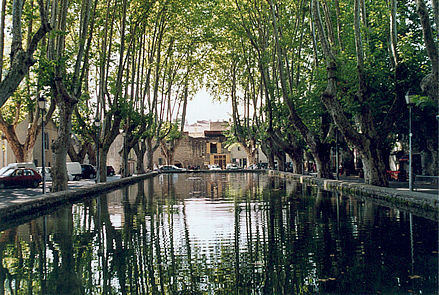 Lourmarin, with its Chateau, Villa Medicis Provençal, enjoys a year-long festival of concerts, lectures and exhibitions organized by a dynamic cultural foundation.